The Faber Wraptonate is a wraparound tailpiece that fits the standard Gibson 3 1/4" tailpiece spacing (82.6 mm). It features individually intonatable brass saddles and in addition there are allen/hex screws behind the bridge posts that can be adjusted to move the whole bridge backwards and forwards and also slant it to add more intonation room to heavy bass strings. 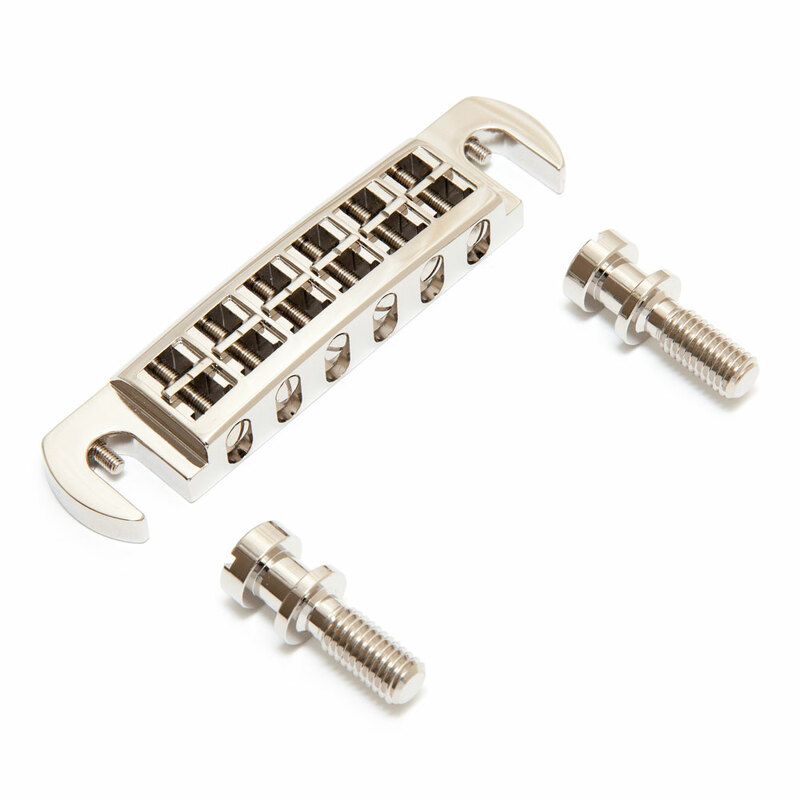 Designed as an upgrade piece, Faber tailpiece posts for the bridge are included to be screwed in to the existing guitar's body anchor bushings.